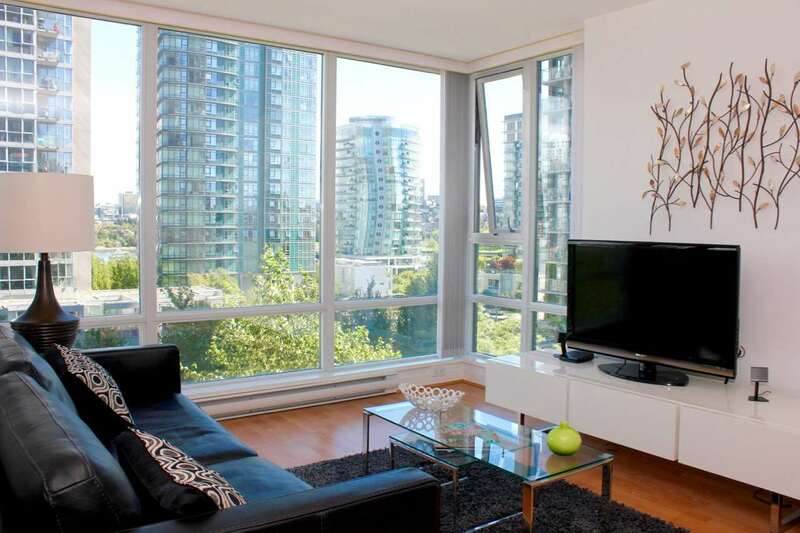 Welcome to 'Azura 1', a very well maintained Yaletown property adjacent George Wainborn Park & the False Creek seawall. This immaculate 1 bedroom & den suite shows 'like new'. There are beautiful leafy outlooks & corridor views to False Creek. Other features include insuite laundry & storage, a granite & stainless open kitchen & a balcony. A parking stall is included. The building has an excellent amenity package including indoor pool, gym, squash courts, theatre rooms, hot tub, steam, party room & lounges. Location is near parks, seawall, restaurants, shopping, recreation, transit & other services. Rentals are allowed & your pet is welcome. Open Sat 23rd & Sun 24th, 2-4pm.